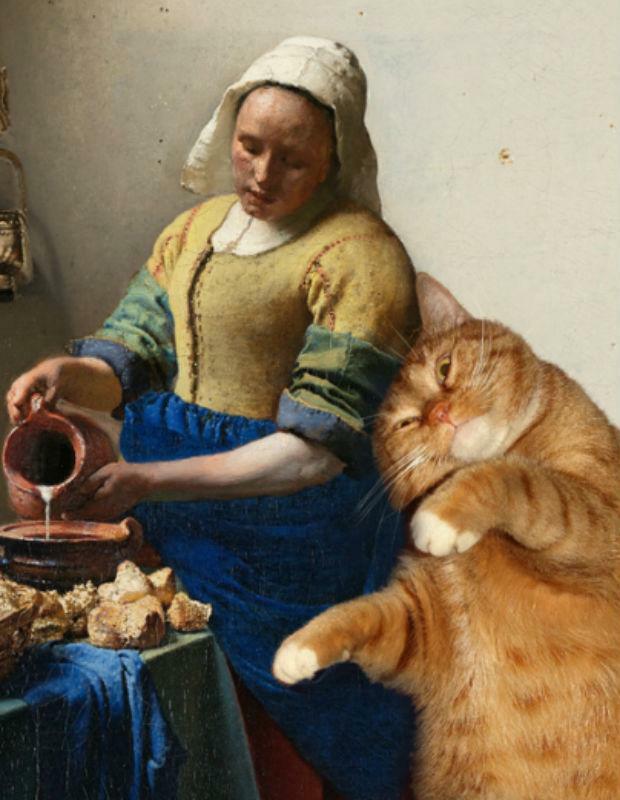 This week in "Thanks, Internet" --- Van Gogh's ear is back,an alternate ending to this week's Game of Thrones(spoilers), Zach Galifianakis makes the best music videos, John Oliver is a Great American, and fat cats take classic art to new places. This was certainly the most puzzling thing on the tubes this week. An American artist has evidently teamed up with some scientists to 3D print Van Gogh's famous ear --- the one he removed in unceremonious fashion. 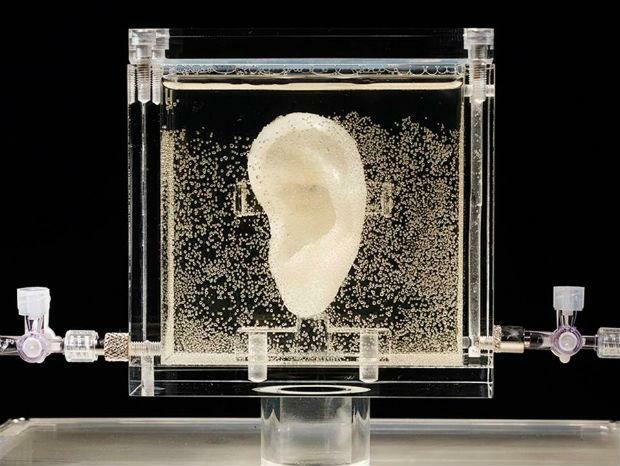 Unlike most 3D-printed objects we've encountered, this ear was made using human cells, which is to say it's real-ish. According to the good people at3Dprint.com, the cells were those of one Lieuwe Van Gogh, a distant relative of the master himself. The ear is on display until July 6 at aGerman museum. Please go and report back on whatever you hear. This video and the paragraph that follows contain spoilers for "The Mountain and the Viper," the most recent episode of Game of Thrones. If you're not up to date, jump down to Item 3. Here's hoping Ozzy Man tackles the unsatisfying Seinfeld series finale next. Broken Social Scene's Kevin Drew convinced Zach Galifianakis to star in his latest music video. In it, the Between Two Ferns host mocks the song's title ("You In Your Were") before making some broad recommendations. Mostly, he thinks there should be more dancing. And he's right. What he doesn't mention is that the secret recipe to any great music video is a lead performance by Zach Galifianakis. It worked for Fiona, it worked for Kanye, and it works for Kevin Drew. Hi, Feist! We've been experiencing technical difficulties with our comment system due to heavy traffic. We're working to resolve these issues quickly. Thus far, more than 45,000 people have left comments, compared with about a hundred comments for most of the other filings. A Russian cat lover has been inserting her fat feline friend into classical works of art for a few years now, but this week she landed a real-life brick and mortar exhibit of her work in England. Vermeer probably wouldn't mind, right?